Apple's grandmother is terribly strict and Apple is convinced that her life would be better if only her mother came back to take care of her instead. But after eleven years, she's pretty much given up hope that her Mum will ever come back, until she in fact does! 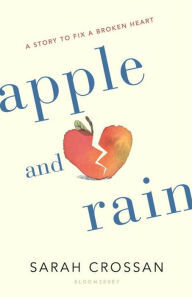 At first, it is a dream come true, but as time goes by Apple learns that her mother isn't all that Apple has imagined. And that family is often a very complicated thing. Covering fairly familiar ground, including my evergreen favorite (not!) of child abandonment, Crossan still manages to pump some fresh life into this. Apple's resourceful and pretty good at standing up for herself. And the other kids are similarly useful, from little sister Rain to their geeky neighbor Del. And even grandma has some depth on her. It's less easy to see much in Apple and Rain's mum, but that may be the point -- being so blinded by wishful thinking, they can't see their mother's flaws.